I feel like I'm constantly changing my mind when it comes to makeup application; sometimes I want to look borderline greasy by using as many cream products as I can get on my face, and other times, be completely matte. More often than not I fall into the former category, carefully navigating the danger zone between dewy and oily while using as little powder as possible. Today I document my ultimate dewy face makeup routine. 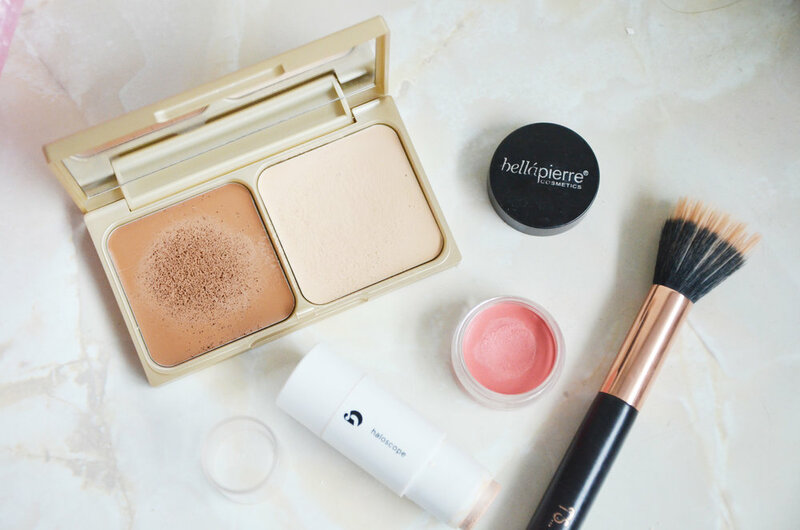 I've never gone into the world of mineral foundations and concealers, so these are the steps that pretty much always stay the same - liquid products all the way. One especially new product to my routine has been cream contour. I'm pretty scared of contouring at the best of times, knowing all too well how easy it is to go from chiselled to looking like something out of Charlie and the Chocolate Factory - cream contour is just that step too far. But then I came across the Stila Contour Duo in Light, a creamy and blendable duo that's perfect for a natural bronzed look. I think that the trick with cream products is to not go in too heavy handed, instead picking up small bits of product at a time and slowly building it up until it looks how you want. The best way I have found to do this is by using a stippling brush (my one is from Primark), it doesn't pick up too much product and when applied onto the face it distributes everything perfectly even. Cream blushes have popped up in my routine somewhat frequently, I have always been a fan of the MAC and Glossier blushes for a while now. 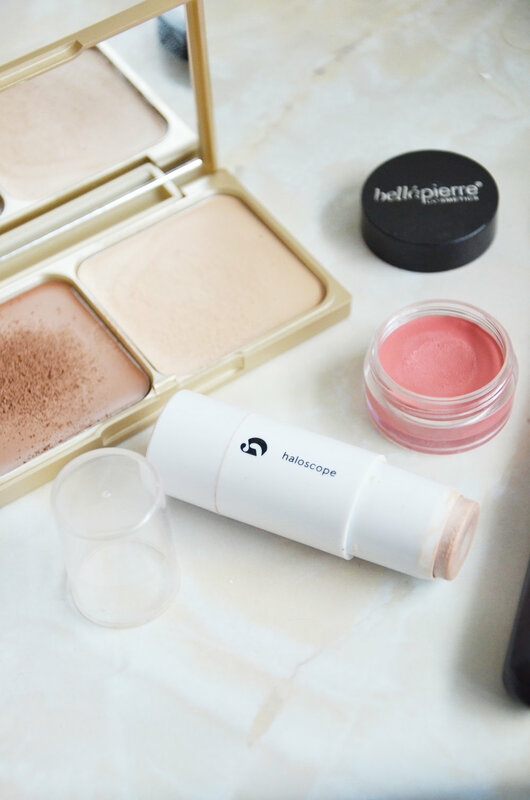 I have been using one from Bella Pierre (which annoyingly I can't find a link for) which is a beautiful coral-pink shade that brightens up the face and blends into the bronzer so nicely, creating an all-over glow. Finishing off with a touch of Glossier's Halosope in Quartz and my face is ready to go. What are your favourite cream products? And are you on team dewy or matte?